Since as long as anyone can remember, people have been trying to push the boundaries of what they can accomplish. This has ended with a lot of people either hurt, famous or even both, though their stunts may not have always been of the death-defying variety. 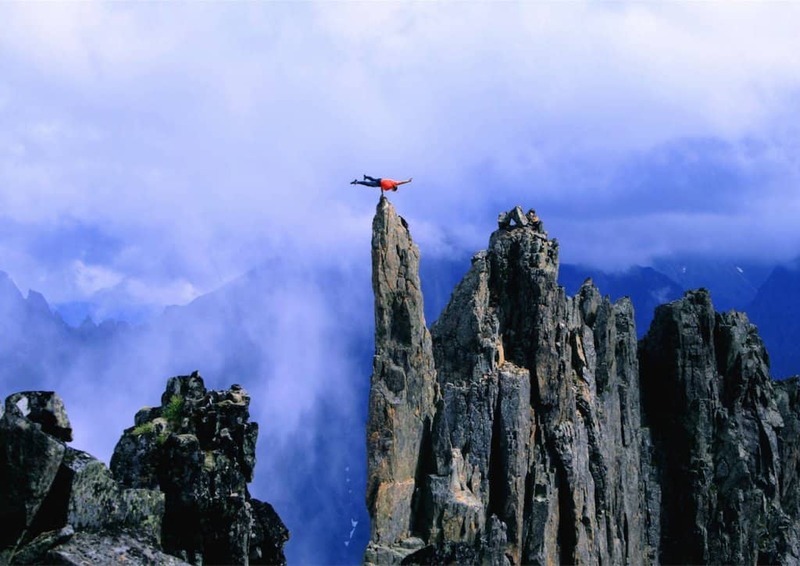 These following ten, however, are some of the scariest to have been accomplished. The people attempting them are willing to risk their own lives to put on a good show. Stunt mans, magicians, and more have given fame a shot. 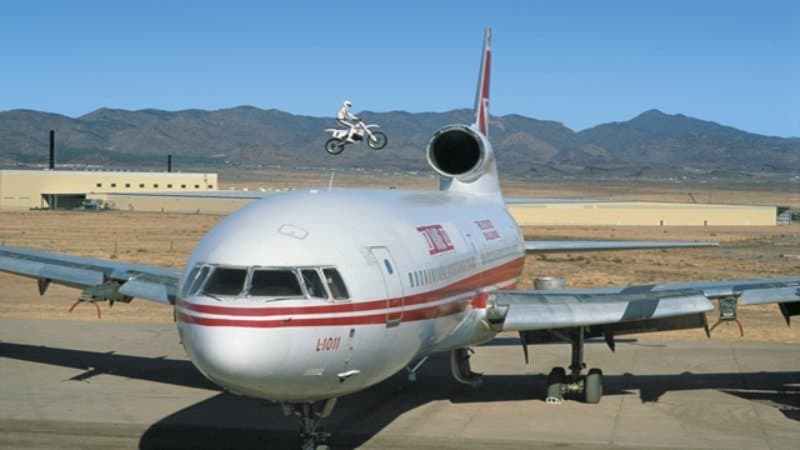 Doug Dancer, a well known stunt man, decided it would be best to reach a top speed of 73 miles-per-hour in order to launch himself off of a 120-foot ramp to clear a 160-foot wingspan of a passenger jet. He accomplished it. While restrained with six pairs of handcuffs and two sets of leg irons, escape artist Rick Maisel decided to hop into a spinning washing machine before freeing himself from his confines. 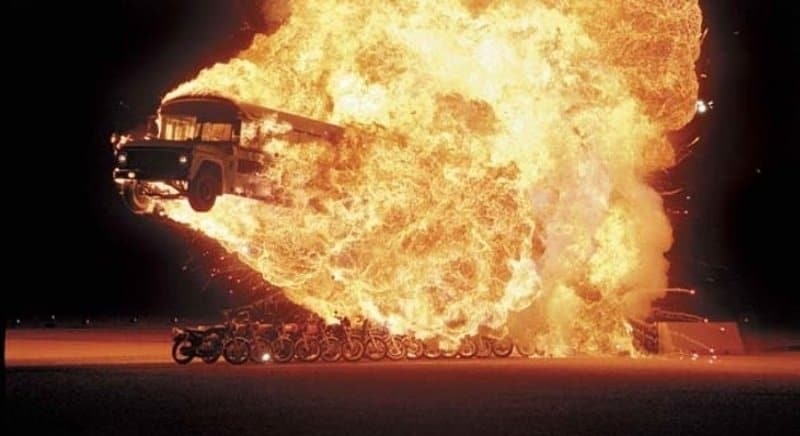 In an attempt to break a world record, which he fully accomplished, stuntman Steve Hudis decided to jump 15 motorcycles as he flew through a giant fireball in a full-length, yellow school bus. Hudis landed the jump successfully. 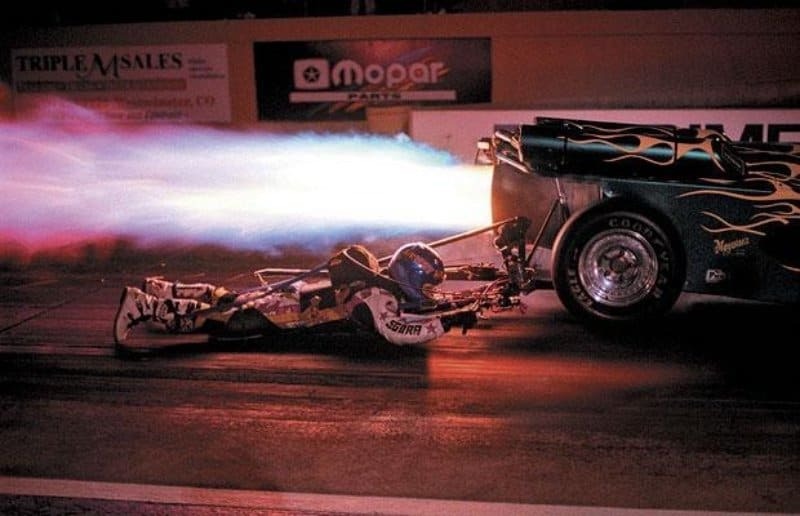 Despite having more than a few injuries, Reno Jaton successfully accomplished the world record for being dragged behind a jet car on the hard pavement going 236 miles-per-hour over a total length of a quarter mile. After setting himself on fire, motorcycle stuntman Dennis Pinto drove himself head-first at full seed into the side of a stationary van. 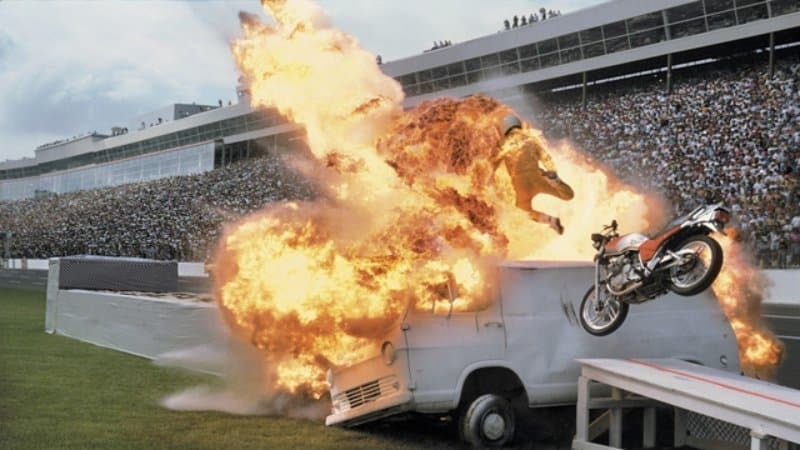 Pinto landed the stunt while still on fire in a batch of cardboard boxes on the opposite side of the van. 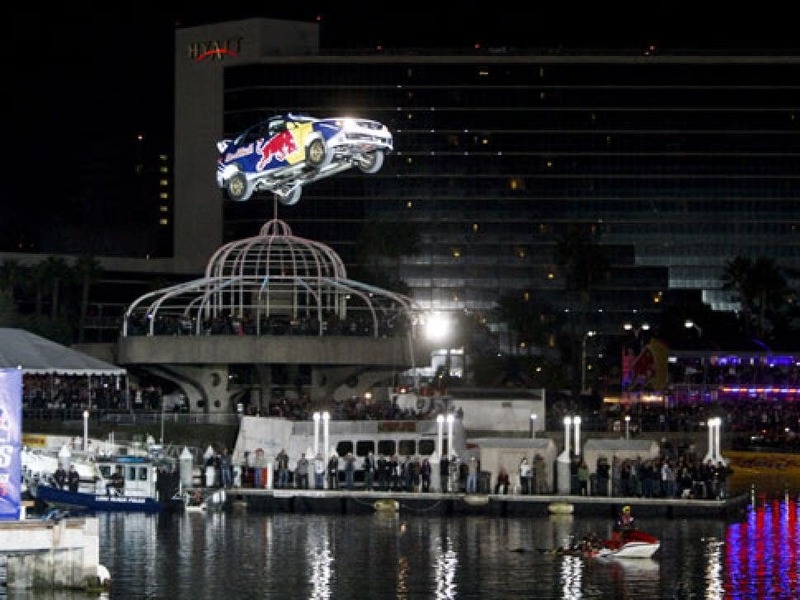 Renowned stunt man Travis Pastrana broke a world record for the longest jump in history by taking a rally car off of California’s Pine Street Pier. He intended to jump the entire length of the river within the rally car, and he successfully accomplished his task. Some people can eat a whole lot, but Tom Owen was a bit more proud of his personal accomplishment. The man broke several ribs and suffered from internal bleeding, but he had a truck loaded down with 20 children stop on his stomach for several minutes. Eskil Ronningsbakken, in an attempt to live life to the fullest, defies death every single time he walks out on an unsteady surface. The man has become known for performing insane stunts that could end with his death if he falls every time. 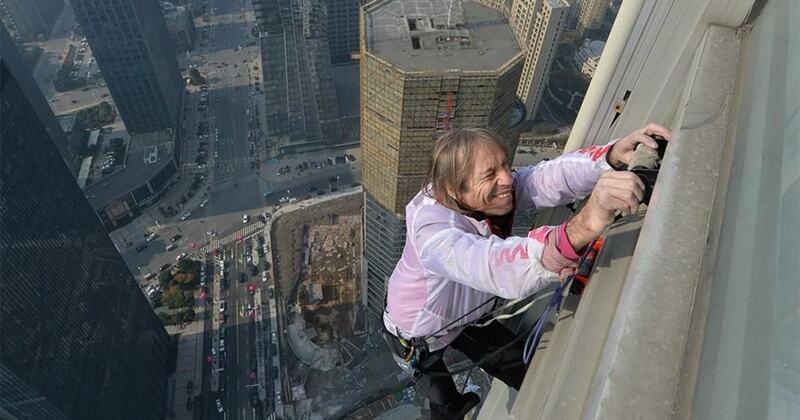 Alain Robert, otherwise known as the French Spider-Man, has successfully free climbed some of the tallest buildings in the entire world. The only catch is, this Spider-Man only uses his personal climbing shoes and chalk on his hands to accomplish the feat. 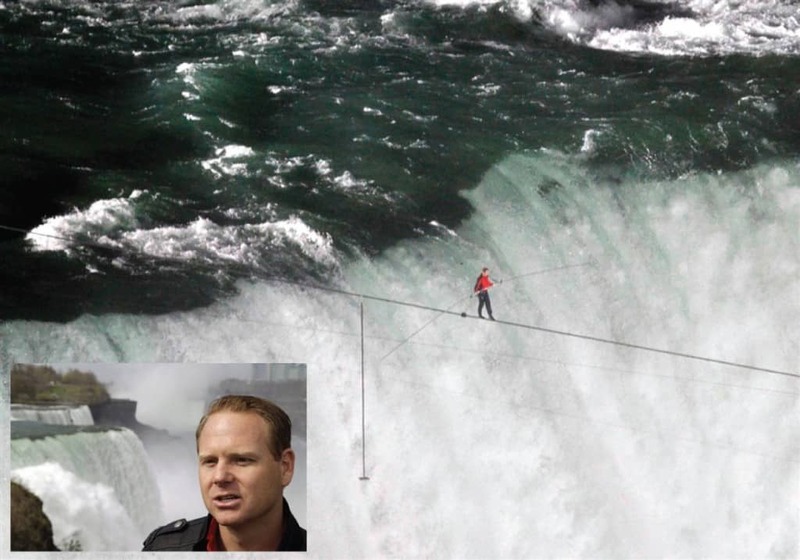 Nik Wallenda, a Canadian daredevil, required his passport for a recent stunt in 2012. The man accomplished a feat that has been illegal for the past 125 years, as he tight rope walked across Niagara Falls from the United States to Canada. It took him nearly 40 minutes to accomplish.